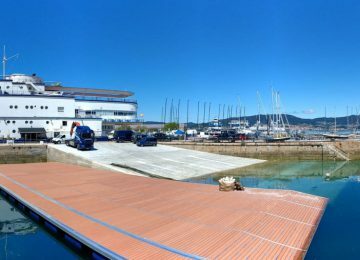 Fifth day on Vigo repeated fourth day recipe; plenty of sun and warm weather but just a few knots of wind. 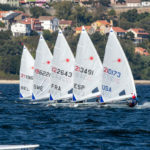 This way the Laser Standards added only one race to scores, while the Laser Radial stays as they were yesterday. 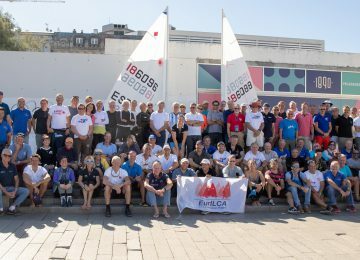 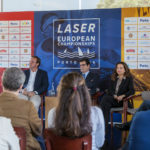 Forecast for tomorrow announces better sailing conditions, keeping Vigo’s awesome sun but also adding some stronger winds within the afternoon at the 2018 Laser Master European championships. 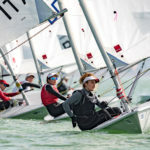 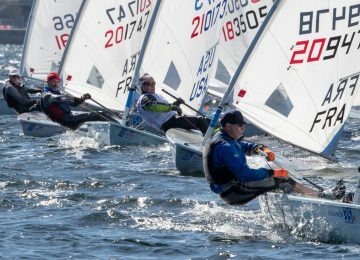 Only one race was good enough for the Laser Standard’s to apply a first discard on scores and change some of first positions on rank. 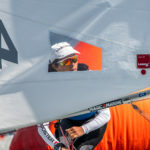 Apprentice sailor Jordi Capella ESP (9-1-2-1) won the bullet today and surpassed Grand Master sailor Alan Davis GBR (3-4-1-8) by four points on top of fleet. 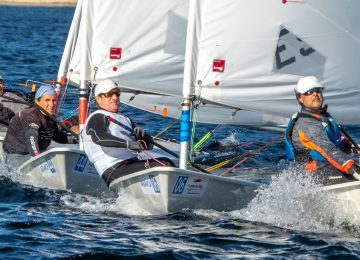 Carlos Echavarri ESP (5-3-12-32) had a bad race today but holds Master’s leadership and third place overall with 20 units. 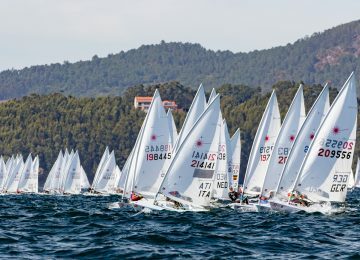 Australian sailor Mark Bethwaite AUS (18-9-11-4) heads Great Grand Master’s fleet now on 7th, with German sailor Wolfgang Gerz GER (15-7-7-31) leading the European GGM on 9th just 5 points behind. 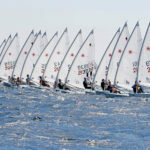 3 races were announced for tomorrow, starting at 13:00.